The terms “prenuptial agreement” and “postnuptial agreement” are often thrown around when the media reports on high profile marriages and divorces of the rich and famous; however, there seems to be a good deal of confusion about what these terms actually mean. The aim of this articles is to answer some questions that you may have about these terms by discussing what it means to execute a prenuptial or a postnuptial agreement and the pros and cons commonly associated with each type of contract. A prenuptial agreement, also commonly referred to as a “prenup” or a “premarital agreement”, is a type of contact that two people who are contemplating marriage can enter into before they get married. This legally binding contract allows the couple to address a wide variety of martial issues before they say “I do.” The potential subjects of prenuptial agreements are broad, but generally these agreements can address some, or all of the following issues: a) how marital and non-marital assets and liabilities will be defined and protected upon entering into the marriage; b) how marital and non-marital assets will be divided in the event the marriage ends in divorce, or divided upon death of a party; c) whether spousal payments will be paid in the event of a divorce, or whether they will be waived; and d) death rights/inheritance issues in the event of a death of a party. While each state has its own laws surrounding prenuptial agreements, Florida impose several legal requirements for executing a valid prenuptial agreement that you should be aware of. For example, the agreement must be in writing, it must be signed by both parties, it must be entered into freely and voluntarily without duress or coercion, there must be full and adequate discloses exchanged between the parties, and the topics discussed in the contract must be legally valid. A local family law attorney can help ensure that all of these requirements are met. Having a prenup in place before you get married can help alleviate uncertainty as the contract allows both parties to get married knowing exactly what assets and debts their partner is bringing into the marriage. Prenups can help the lower-earning spouse rest at ease knowing that he or she will be taken care of in the event of a divorce. 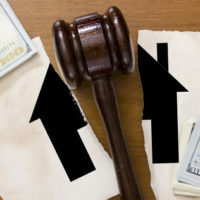 If a couple does decide to get divorced later on down the road having a prenup in place will likely help their divorce be less expensive, faster, and less emotionally-charged. Prenups can protect the rights of children from a previous marriage, including securing/protecting their inheritance. In some instances, a prenuptial agreement can specify how debt will be divided in the event of a divorce. Postnuptial agreements, or “postnups”, are very similar to prenuptial agreements in that they often address the same marital topics; however, postnups are entered into after a couple is already married. In other words, a postnuptial is a prenuptial agreement that is agreed to after the marriage takes place. Keep in mind that it is possible for a couple to execute a postnuptial agreement even if they already have a prenuptial agreement in place. A married couple who already has a prenuptial agreement can execute a postnuptial agreement in order to amend their prenup. Postnups can help protect you against future infidelity from a spouse who has cheated in the past by addressing divorce rights in the event that a spouse cheats again. A Postnuptial Agreement can be as simple as addressing a single issue of contention between the parties, allowing the parties to move past a “roadblock” in their marriage. Having agreed to a postnup can simplify a potential divorce. It is very important to have an experienced family law attorney prepare, or at least review, any prenuptial or postnuptial agreement that you are considering signing. Marital contracts that are not properly prepared or executed may not be enforceable in Florida, so it is always a good idea to consult with a knowledgeable attorney regarding these important documents. If you live in Florida and would like more information about prenuptial or postnuptial agreements and how you can protect your financial assets during a divorce, contact the Law Offices of David L. Hirschberg, P.A. today at (561) 288-8620.